If you have had a water leak in your home or business and have not had the assistance of a professional cleaning company to fully resolve the problem, you could leave yourself requiring professional help to solve your mold removal problem that will happen. When anyone needs mold removal, it can cause more disruption than a water leak, as mold works in ways where it spreads and grows out of sight. Mold remediation Las Vegas homes or businesses face is very costly, and the main areas which become affected are under wooden floors, ceilings or inside drywall. It is unfortunate that any significant mold problem requires the assistance of mold removal professionals. This is not the mold remediation itself it is the process that has to be followed. Large amounts of mold cannot just be removed and dumped in a landfill. It has to be dealt with professionally, and this is once the mold has been tested which can take a while. During this testing period, the professional mold experts from Elite Water Damage Las Vegas will cordon off the area of concern if possible and make sure none of the mold spores can become airborne and affect your family or your employees. After any testing, and it becomes evident that you need mold removal services in your home or business this more than likely requires drywall being removed and laminate flooring or floorboards to be removed. The disruption caused by this is significant as it is like you are having some remodeling performed on your home. This process has to be completed as there are many health issues when mold is involved. Family members and employees can become affected from mold spores that are introduced into the air. Our skilled mold removal technicians secure the area and use the best HPA filters to make sure no contamination spreads from the area of concern. 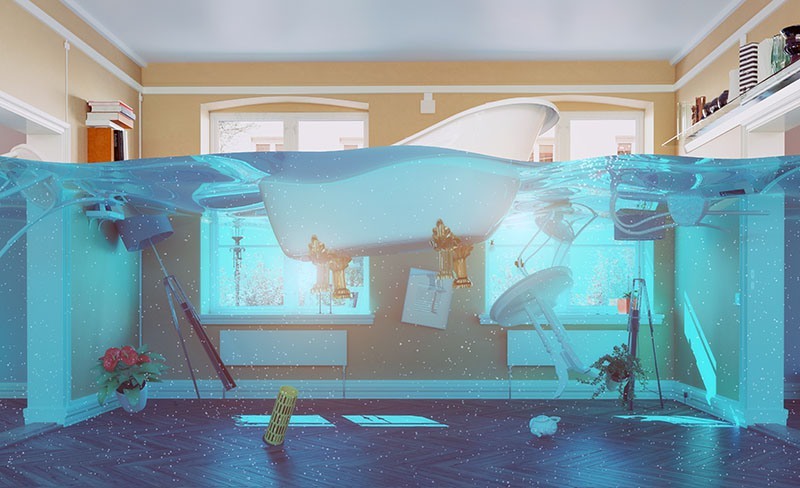 Elite Water Damage Las Vegas also use the most efficient drying machines to make sure that all moisture is removed once and for all. If the area is not dried correctly, it is very easy for mold to return as it latches itself onto any zone there is moisture. If you need mold remediation in Las Vegas we give the best rates and the fastest response as we know the length of time it takes for mold to become a significant problem after any water damage has occurred. It only takes 48 hours for you to have major health risk on your hands and if it is not attended to as quick as possible it can spread rapidly and will require much more mold remediation and when this happens it could mean a family has to leave their home or a business has to close until the affected areas have been remedied. Mold needs the skills of the employees of Elite Water Damage Las Vegas as it is not something a cloth and bleach can remove.